A worker installing part of a stage valance fell from his ladder when the ladder support failed, causing him to fall. The ladder was noted to have both support legs wrapped with vinyl tape, indicating that the ladder was not in proper condition. To make matters worse, this worker selected this ladder from a stack of ladders that was left on the jobsite by another subcontractor to the General Contractor. How does a company ensure that a tragic accident like this one does not occur on their jobsite? First, all ladders need to be inspected regularly, and anyone that uses ladders needs to be trained in what to look for as far as the proper condition of a ladder. In this case, the company that was performing this work did not have adequate equipment, so the worker used a ladder from another company that was left behind. In this case, the ladder was visibly repaired by vinyl tape, which means that the worker who later perished was not only not provided with proper equipment, but was also not qualified to inspect a ladder in a reasonable manner. The subcontractor who left the ladder on the jobsite also failed in the proper inspection of the ladder, and did not ‘lock out’ or remove that ladder from the job when it was determined to be in bad condition. The General Contractor also failed to properly inspect the jobsite to ensure that safe equipment was being used by the subcontractors. When thinking about ladder safety, remember that there needs to be a competent person that has the knowledge to properly inspect ladders, and the authority to take them out of service, where necessary. Those who use the ladders should also be trained to ensure that they are using the ladders properly, and that they can also perform their own inspections of the ladders themselves. In 2012 there were 279 fatalities in construction due to falls out of a total of 806. Ladder fatalities account for 20% of the fall fatalities on average. To help stop these injuries, free training materials from OSHA and other sources on ladder safety have been compiled and posted at this link: Safety Resources – Free Ladder Safety Materials. Materials on all subjects safety related are also located on this sight, all free of charge. Hopefully your company will never experience the tragedy of losing a co-worker as outlined here, but if it does, know that there is an organization out there that can help the surviving family members cope with the situation. This organization is Construction Angels. Construction Angels is a 501 (c) (3) charitable group that will help facilitate access to financial services for immediate surviving family members. 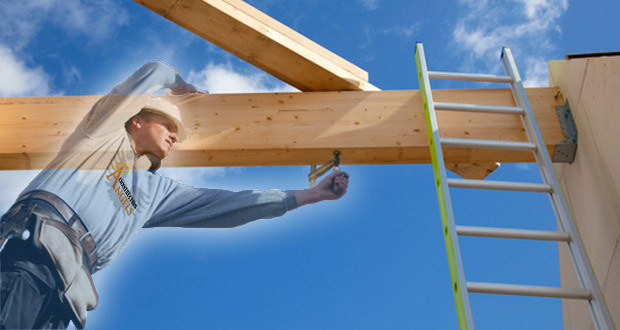 Feel free to contact Construction Angels, or provide assistance for their efforts at www.constructionangels.us.